Looking back on my experience of competing in the International Speech Contest, I realize that I learned so many lessons. Valuable lessons! And I’m convinced they will help me get closer to my goals, and get closer to what I want, both at work and at home. So, I’d like to share with you the top three skills I walked away with to help make life a little easier. 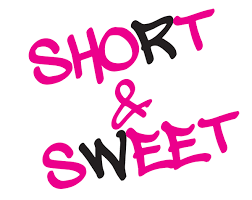 First – make your message short and sweet. In other words, get to the point – No Fluff! And this goes for both the written and the spoken word. In this day of Twitter, Snapchat and so many others, you wouldn’t think this would be a problem, but it is. Your message has to be short, but is it clear? Does your audience, the person reading your message, actually understand it? When sending emails, text, tweets – you have only the written word to depend on. You cannot include your tone or emotion to help the reader understand what you truly mean. Because of this, it is reported that emails are misinterpreted up to 50% of the time. Check out this amusing video on the misinterpretation of the written word: https://binged.it/2byQVy4. So, as I prepared for my competition I became very aware of making my message clear with as few words as possible – the right words! I had to be sure that I was clear and concise and left my audience with a strong, inspirational message. The same point was delivered with clarity using fewer words. I didn’t lose the meaning of my message. Now that the contest is over, I find that this has carried over to my everyday life. My emails are more concise, my texts are clearer, and my blog – Oh Well. I guess I’m still working on that! I’ve run out of room here for the other two lessons learned, so stay tuned next week. I’ll share with you another technique that will help make life easier. But there I was, standing in line at the Starbucks in the Washington DC airport. And I begin to cry. People around me must think I’m crazy. But it’s a minor breakdown – and it will pass soon. The Toastmasters International Speech Contest is all over now. Out of 30,000 speakers competing, I’ve advanced to the final 98. Yes, I’m left standing with 1% of the greatest speakers in the world. We all started this journey over six long months ago. There was so much hard work, so many rewrites of my speech, and so many people who gave their time to me. But that’s all behind me now. And I don’t have a physical trophy to show for this last round of the contest. At first I try to hold back the tears and rationalize what has happened – and why it happened. Then I decide to just let it be. You know what? I’m sad and I’m disappointed and I’m discouraged. And I decide to feel all those emotions and any others that may surface. I decide to embrace them and just let them happen. With time they will pass and I will rise, once again, stronger than ever. Feelings are neither right nor wrong, they just are. 20 years ago!!! And I still remember that saying today. So I decide to put it into practice. I will wrap my arms around all those crappy emotions, let the tears fall, and just plain feel. And I will be ok.
Today I leave to compete in the International Speech Contest in Washington DC. It’s been six months of preparing, practicing and sometimes panicking to craft the perfect speech and deliver it all in seven minutes. If I go just one second over, I am disqualified. And that would be the greatest loss of all – to beat myself. So I practice and practice and practice some more. And when I feel like I can’t do this speech one more time, I practice it again. My goal is to be the best I can be. I’m not even thinking about my competitors because it’s not about them, and it’s not about me – it’s about my audience. This is my chance to make them laugh, to inspire them, and to make a difference. I will share the stage with some of the greatest speakers in the world. And when I do feel that self-doubt creep in, I take a deep breath and tell myself this is where I am meant to be. All the stuff, good and bad, that has happened in my life has brought me to this moment. My goal is to stay “present,” to have fun, and to enjoy this new experience. It’s not easy. I am stretched beyond my comfort zone. But I once heard that every time you do something new, it becomes easier and easier with time. The task has remained the same, but YOU have become stronger. This is my chance to become stronger. It’s my time to pay back all the people who have supported me, helped me and loved me. I am here because of them. Has there been a time in your life when you felt like jumping in with both feet, not even thinking about the outcome? What stopped you? Fear of failure? Fear of not being perfect? 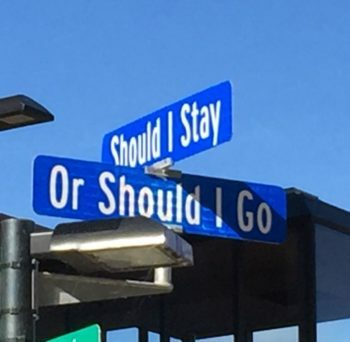 It’s like this sign says: Should I stay or should I go? No one really knows the answer – not even you. Sometimes we just need to take the plunge and see what happens next. We need to take that leap of faith. Faith in ourselves and knowing that we will be ok no matter what comes next. Through that experience, I learned that the only thing we can really do is enjoy the ride. It’s during these crazy times that we begin to prioritize and figure out what is really important to us. I am so overwhelmed by the outpouring of support I’ve received from my family, friends and strangers. I started my journey to compete in the International Speech Contest last February. Yes, that’s over five months ago. Since that time, I have delivered my speech to over 25 different Toastmaster clubs for their feedback. With each group, my speech got better and my message got stronger. People I don’t even know gave me their time, their good wishes, and in some cases, even gifts. One lovely lady gave me a four leaf clover pin to wear for good luck during the competition. Another friend actually made me a card with my name and World Champion of Public Speaking right under it. Absolutely amazing! Since my Toastmasters club is a three hour drive – ONE WAY – from my home, I have to figure out where I’m going to stay for the night. And in most cases, I stay several evenings to make the best use of my time. That means my husband spends a lot of time alone, my brother graciously opens his home to me each and every time, and my friends adopt me for an evening so I can enjoy some much needed “time off”. This whole experience has changed me in a way that I never saw coming. I started this journey to win a contest – that’s all. 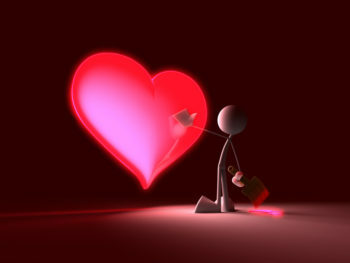 In the process, I have met some amazing people who have warmed my heart. I’ve gotten closer to the people I love, and have made friends out of strangers. People I never really knew before rose up to help me. In the process, I have become a better friend – even to those who don’t really know me. I have stopped saying: “sorry, I’m just too busy now” and replaced that with “how can I make your life easier”. It’s made my life lighter. That’s right. I actually feel like I can breathe easier, and smile from my heart. So I guess there’s no real “lesson” for you in this blog post. 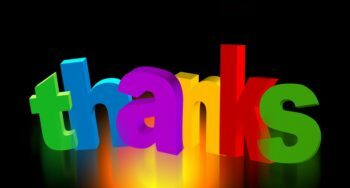 Just a huge thank you for your support, for reading my blog, and for being a part of my life.